Learn Simple & Effective Ways to Reduce the House Edge in Blackjack. 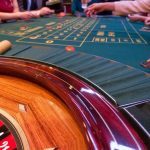 House edge is an analysis of the advantage a casino has over a player. It is a statistical assessment. House edge varies from one casino to another. It also varies from one game to another. 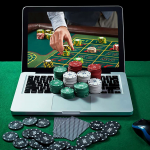 The house edge for Casinor.com can be more or less favorable for players depending on the casinos being compared with and the specific game one chooses. House edge is not a complicated concept. If a casino has five percent house edge then a player is likely to lose five bucks for every hundred bucks staked. This does not mean every player will lose five bucks with every hundred bucks bet. This is an average. The house edge is used more as a guide or indicator of what is probable. The house edge is only relevant when you are considering a series of bets at a game, such as blackjack. If you intend to play just one round then the house edge really does not matter. 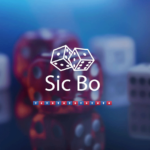 The average or the statistical analysis will becomes important when you play dozens of rounds or make scores of bets. Blackjack has a lower house edge than most other games at online casinos. Video poker is perhaps the only other game that has an even lower house edge. This is also why blackjack continues to be arguably the most popular game at land based and online casinos. Blackjack house edge is usually less than one percent. You can expect half a percent house edge at many blackjack games. There are ways of minimizing the house edge in blackjack, further below the one or half a percent. If you have a basic strategy of playing blackjack, the house edge remains unchanged. If you do not have any strategy at all, then the house edge will increase. It could get to two percent or higher. Those who have a bad strategy or are clueless about the game will have house edges as high as five percent. The simple trick to find out what the house edge for a game and player is to know the rate of hourly loss. How much you are going to bet for a certain number of rounds and how much you may lose in an hour. Those who can count cards can reduce house edge to almost zero. It is even possible to get an edge over the house, wherein the player has a definite chance of winning and the odds do not really matter. The house edge changes depending on the conditions of the game. The cards you have at your hand, whether you stand or double down, hit or split the tens will have an immediate effect on the house edge. The impact can be positive or negative for the player depending on the subsequent developments. As the conditions of the game change, so does the house edge. It is hence imperative to have a real time assessment of what the house edge is like at any given stage. If a casino or dealer is using more decks than usual, then the house edge increases so you need to choose a game of blackjack that has fewer decks. Choosing such a game will definitely minimize the house edge.